Social media is constantly evolving and is continuing to play a major role in companies big and small. What is your digital marketing strategy? If you don’t have an answer to that question then you should figure it out. We are living in an ever-changing social media landscape and business owners need to keep up with the evolution. One thing is certain – social media is here to stay and will play a major role in the way we market our products. As digital media marketing strategists we need to ask ourselves what our customers are looking for and how can we persuade them to buy our products? Now that 2016 is almost over, it’s important we look to the future. Here are my predictions for 2017 and beyond. Last year we saw the rise of live streaming. Platforms like Periscope, SnapChat, Facebook, Twitter, and even Instagram are enabling users to live stream events. On Facebook and Instagram, you are notified immediately when one of your friends begins to live stream. Plus, the algorithms are giving live streams priority over all other posts. Maybe your asking yourself how you can use live streaming in your business? Let’s take a simple example of a running shoe company. Customers want to know what it feels like to run up the side of a mountain and back down again. To give them this experience you can attach a camera to your head and live stream a trail run. In this example, your audience would feel the pain and the sense of achievement your felt while running the race. Consequently, customers would then associate the running shoe brand with that experience. If delivered correctly, this would encourage them to purchase your products. In recent years, Twitter has lost momentum as a social media platform. Due to various factors including automation and increased competition, Twitter has been losing it’s ability to play a meaningful role as an influencer. As a result, other social platforms like WhatsApp, Facebook, Instagram, and Snapchat have taken over. Plus, the recent news of censorship and other factors have sent many of Twitters most loyal users looking for alternatives. With that said, I still believe Twitter has a place in your digital media marketing toolbox, but it’s no longer the star it used to be. One of the strengths of the Facebook platform is it has continued to evolve and adapt to the changing landscape. Brilliantly, Facebook and Instagram have copied and implemented many of the features of their biggest competitors. For example, Facebook recently added live streaming to compete with applications like Periscope. Plus, this year Instagram went after SnapChat by copying their system almost entirely. This recent change not only made Instagram more entertaining, but it also gives people a compelling reason to avoid SnapChat all together. Furthermore, the Facebook team has implemented one of the best marketing tools on the planet with the introduction of the Business Manger. Geolocation marketing is on the rise and will continue to play a prominent role in social media campaigns for 2017. For local companies, targeting the local community with advertising is critical to conserve valuable ad dollars and increase your ROI. If your business is brick and mortar based, there’s no reason to advertise to people who will never be your customers. The biggest social media platforms understand this concept and have been implementing many features to help users target their customers efficiently. Plus, new WiFi systems have been introduced that will allow you to target mobile devices within their signal and advertise directly to them. In 2017, geolocation marketing will continue to play a pivotal roll in the campaigns of local business owners. In the new year, social media marketing will play a bigger roll than ever. If your not already active on social media then it’s time to get started. Big companies like Facebook and Instagram are making it easier than ever to advertise directly to your customers at reasonable prices. This year make a commitment to embrace the changing landscape and use it to leverage sales and grow your business. 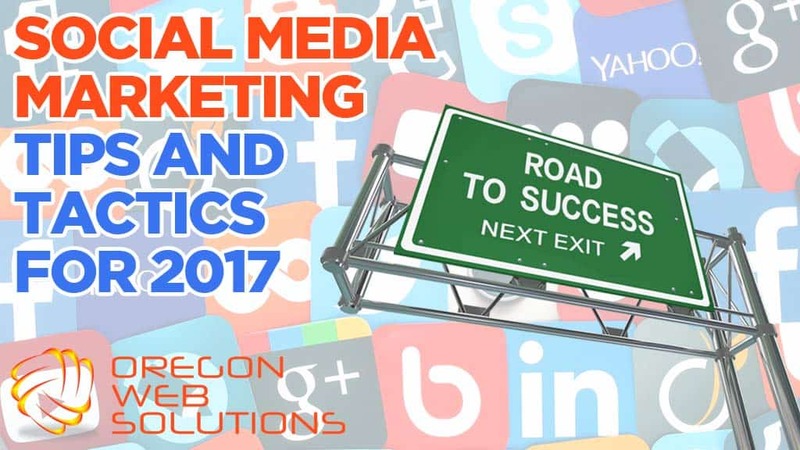 Social Media Tips and Tactics for 2017	Overall rating:	5	out of 5 based on 48	reviews.